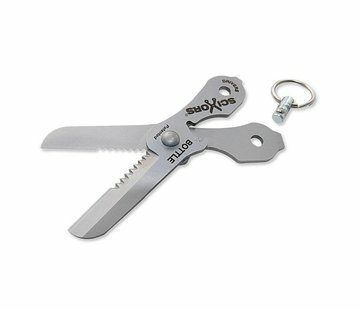 True Utility HandSpan KeyRing Accessory. 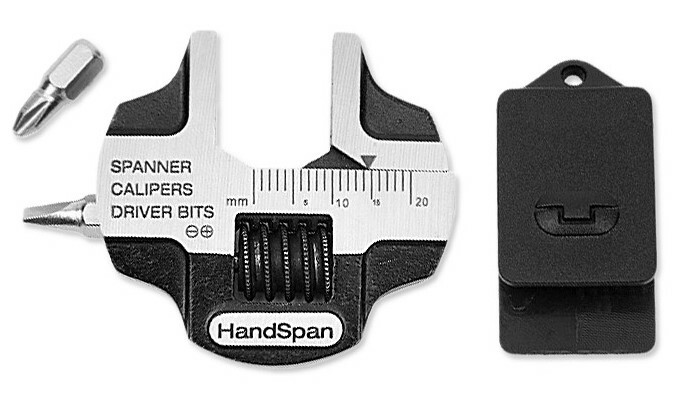 This adjustable spanner is a clever patent pending keyring gadget. It includes an adjustable spanner, Phillips and flat edge screwdriver, and accurate callipers. 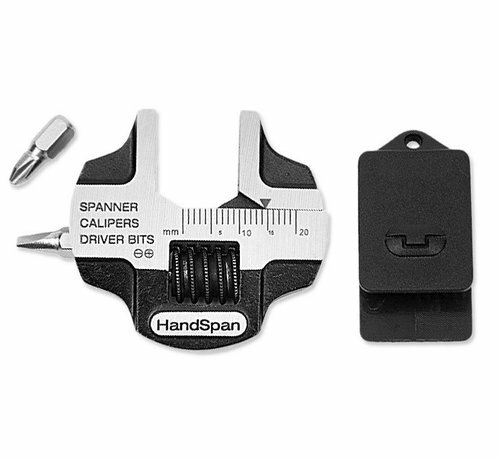 The holder which attaches to your key-ring contains 2 hidden screwdriver bits that can be released then placed in the side of the HandSpan to create an ‘easy to grip’ screwdriver. All True Utility products come in a versatile and weatherproof HardCase. 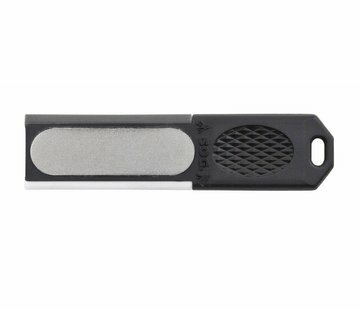 The HardCase is strong, durable, weatherproof and most importantly, reusable. Perfect for outdoor pursuits and protecting valuables from dust and moisture. Adds value to each True Utility purchase. Made from recyclable crystal clear styrene.